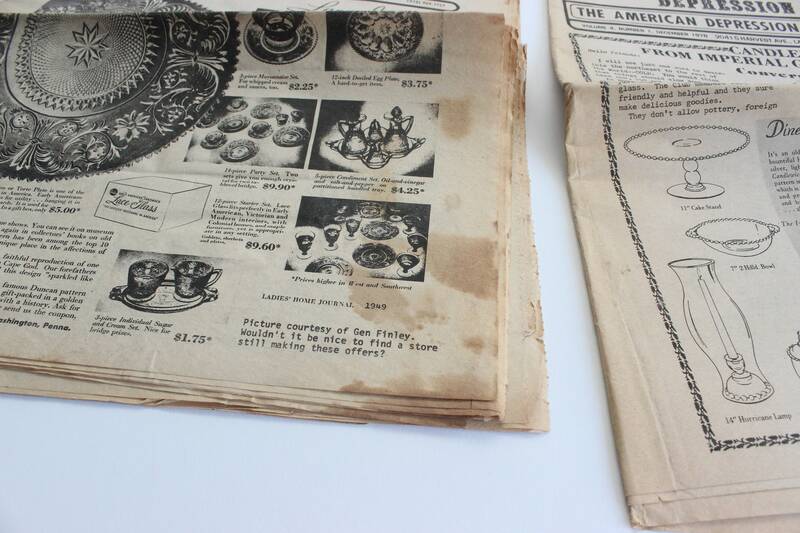 Collection of 7 - Vintage Newsletters. 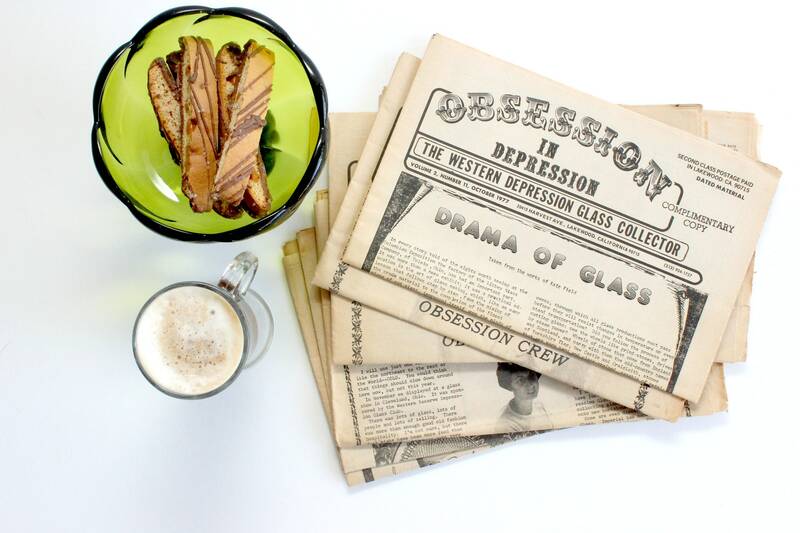 Nostalgic collectors memorabilia. 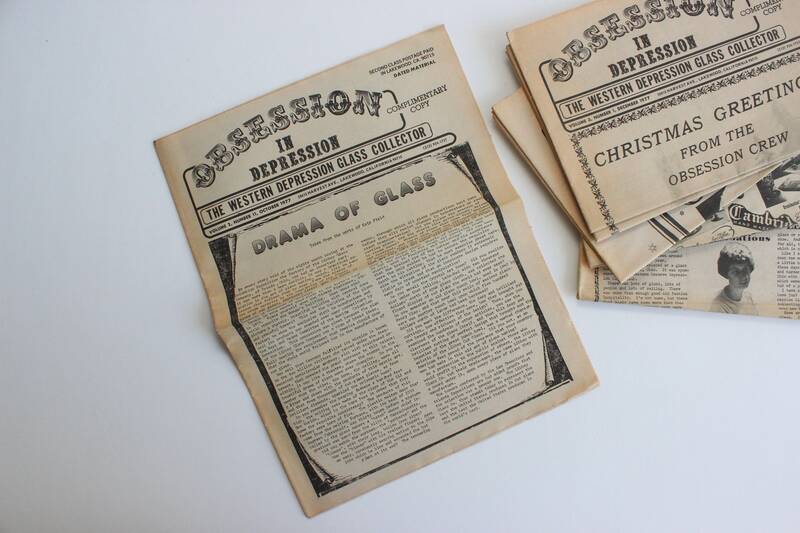 "Obsession In Depression" newsletters dating back to 1977. 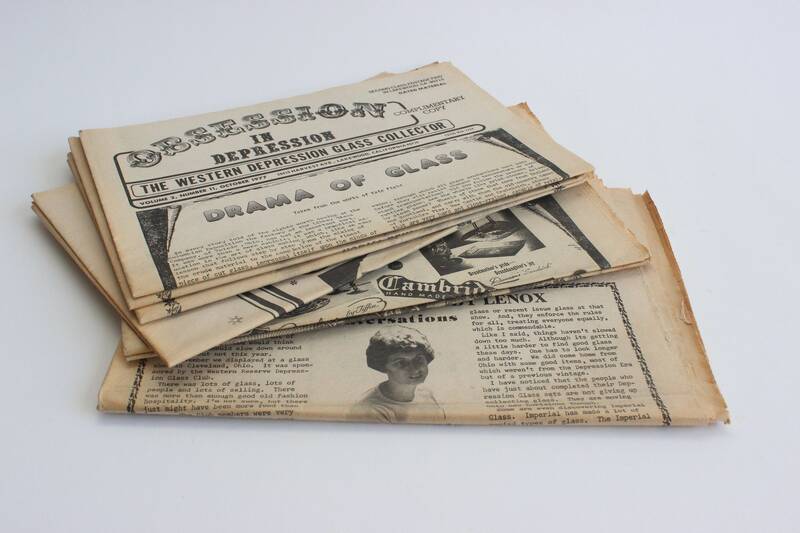 These newsletters were written for depression glass collectors. This set includes 6 individual issues and 1 copy. 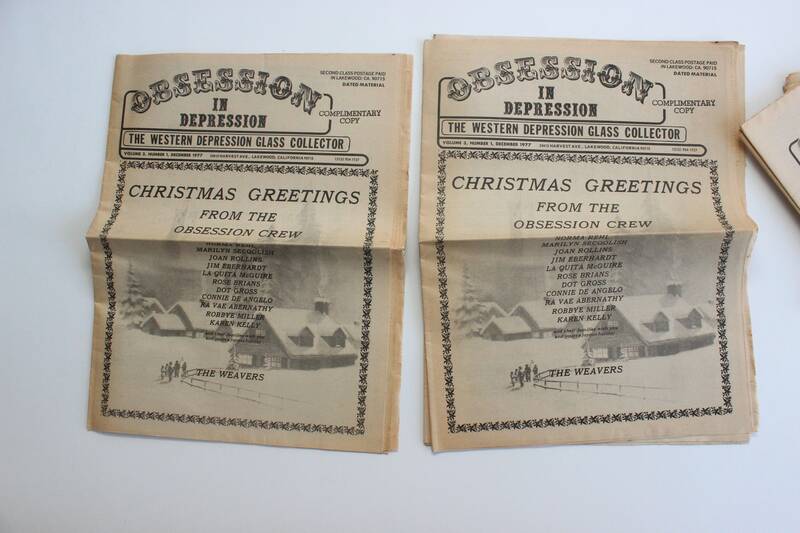 Issue dates range from 1977 to 1979. 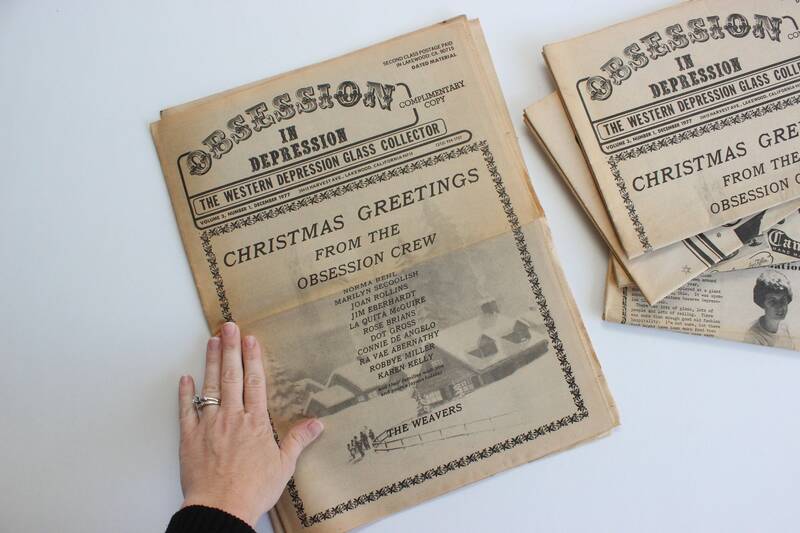 These old newsletters are fun to look through! 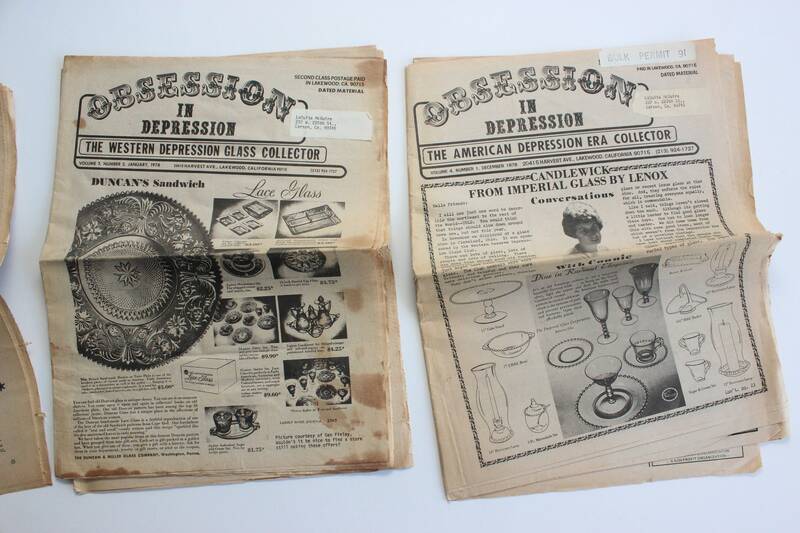 There are some interesting articles about depression glass and some fun advertisements to be found! Left as is, these are great conversation starters. They could also be repurposed into artwork by cutting and framing or collage. 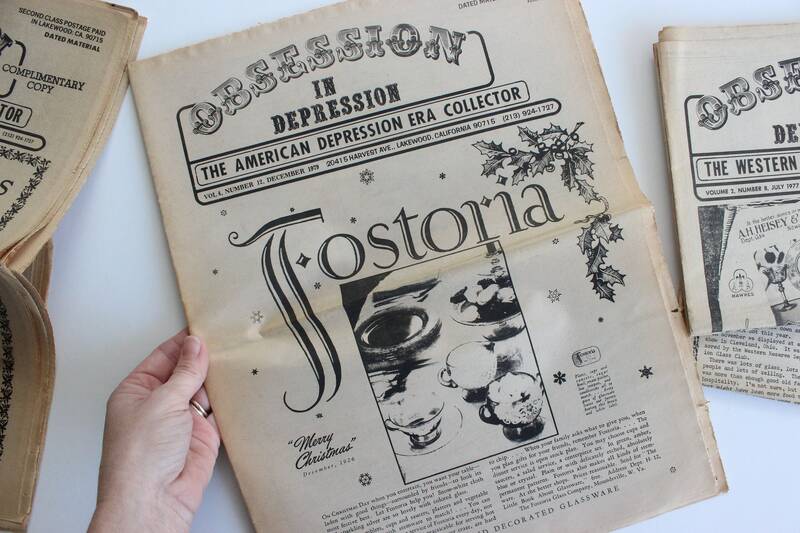 Condition varies from issue to issue. Mostly good condition with wear and tear consistent to age. Some tears and discoloration can be seen. 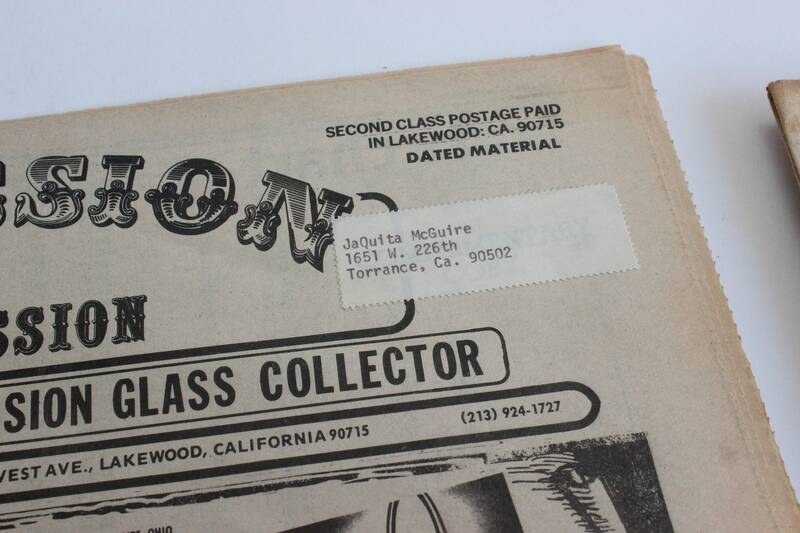 Three of the issues have an address sticker which has not been removed. Newsletters have been kept folded, so there is a crease in the center. See photos carefully. 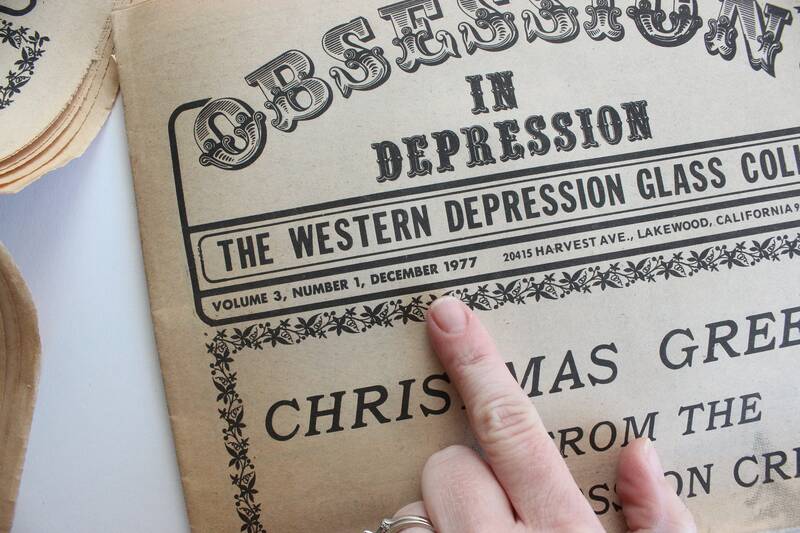 Each issue measures 15 inches tall and 11.5 inches wide. Newsletters will ship folded.